I always hunt for more and more apps related to photography for my Lumia920. One of the recent hit to the store is Hipstamatic Oggl, an awesome app for any photography enthusiast. 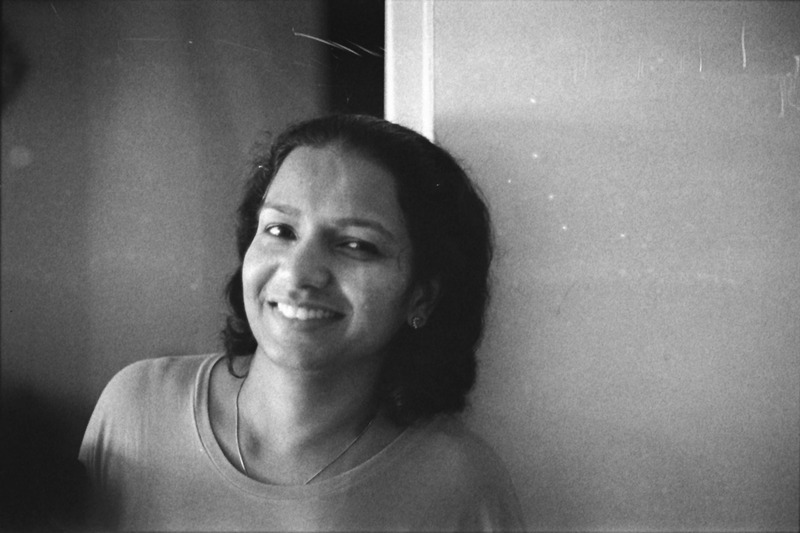 One of the great feature of Oggl is I can download Lens and films from the Oggl online store and give my photos a unique style. In simple words these Lens and Films are like Filters, we can mix and match Lens and Film to give a unique effect to our photo. Like Instagram, Oggl is a community driven platform. 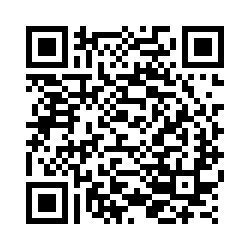 I can upload photos to Oggl web, I can follow and comment or like photos of others. Using Oggl I can upload photos to Instagram aswell. 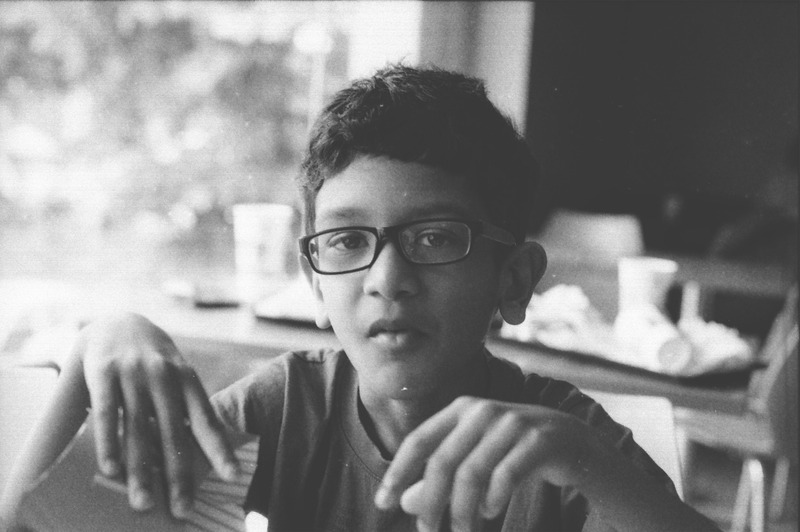 One reason I fell for Oggl is, it’s capability of reapplying a different Lens/Film after the shot is taken. For e.g if I take a photo using Matty Lens with a Black and white film, I can change it to color later. 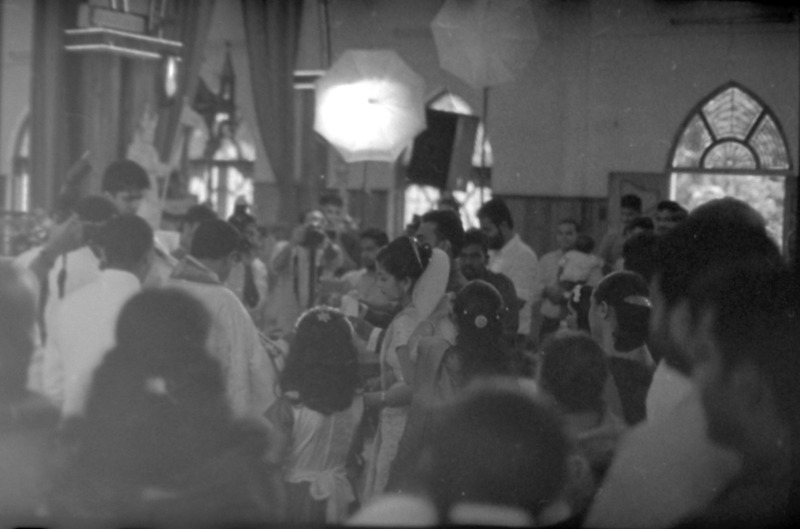 I can apply a different color Film and make the same photo in color, without out reshooting it. 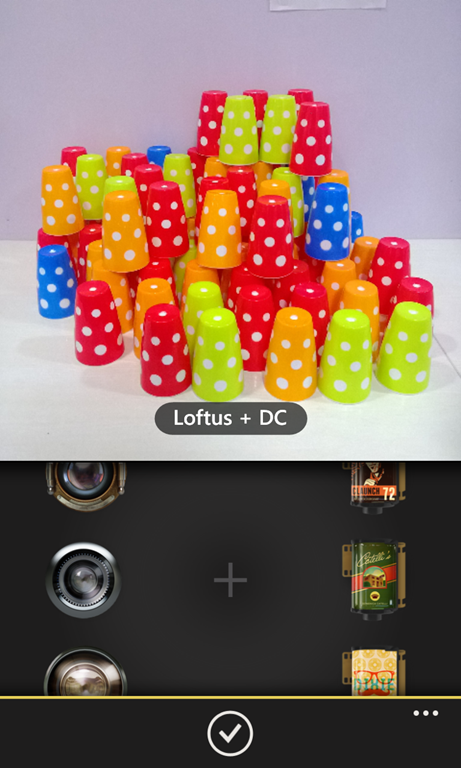 To apply a different Lens, go to Library in Oggl, select the photo you want to edit and click the Gear icon (center icon). In most other Camera app, if you shoot in Black and white, then no way to change it to color. By default the app comes with five predefined set like Portrait, Food, etc. I can add my own preset by choosing a Lens and a Film. 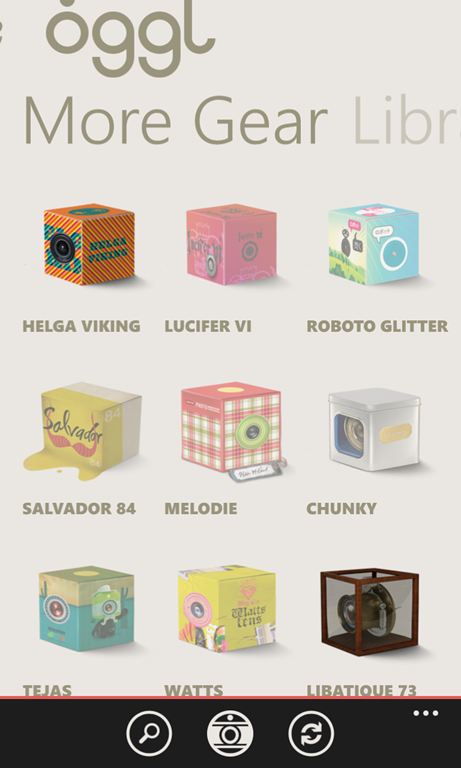 Oggl has an online store where we can download new Gears (Lens and Films). As per Hipstamatic they add more lenses every month. 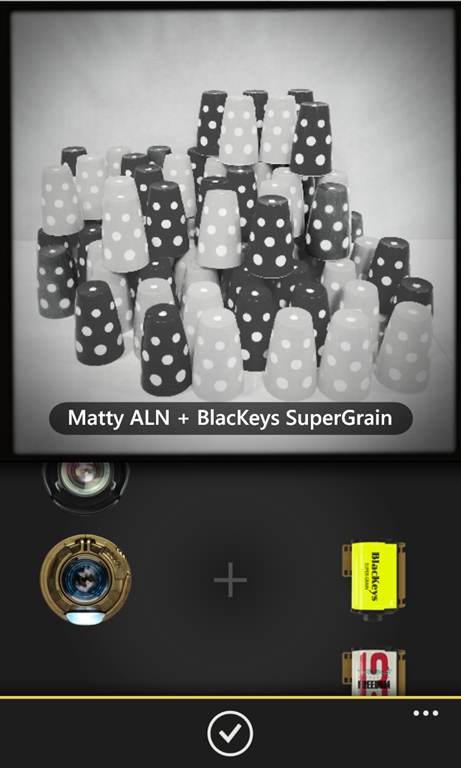 Oggl app is free and comes with a limited set of Lens and Films. To get full collection we need to subscribe for a Quarterly or Yearly subscription, subscription options are Quarterly for $2.99 & Yearly for $9.99. 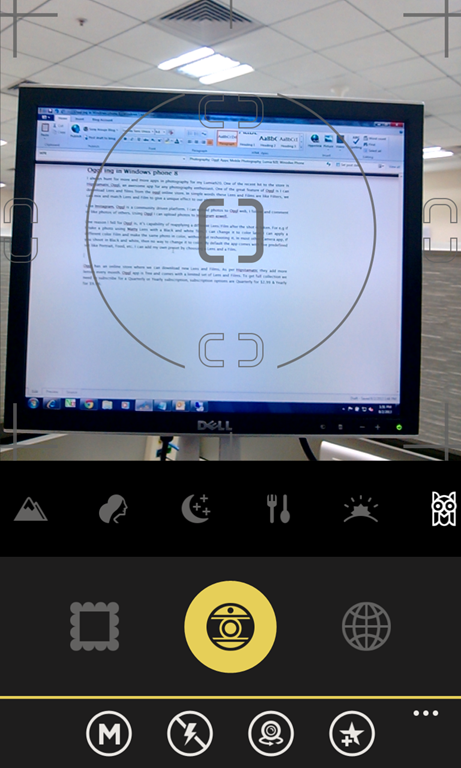 For Windows phone users there is a 60 day trial, in this period we can use the all the available Lenses and Frames. One of the issue I have with Oggl is, it will be very slow if the phone is connected to Data network. I assume the app is trying to connect to the server before showing the camera app. I feel this is bit annoying and I might miss an opportunity because of this delay. Normally what I do is, I open Oggl and keep it running, I use the Back button and select Oggl whenever I required it. I reported this issue to Oggl support. Oggl team is working on it to fix issues and adding more features. I like the customer support of the team, they provide a very fast response to our queries and suggestions. I think most of the photographers out there faced this comment once or more in there life. Some time this comments are intended to degrade you or some times it’s out of curiosity. The fact is not every one can come up with a better photo even if post processed or with a great camera, other wise our world will be crowded with photographers. I like that curious minds, they wanted to learn. Did I do post production, hell I do. I do post production to give the feeling I wanted in a photo. As humans we do a lot of post processing on our self. We go to beauty parlors, or we trim or comb our hairs, in my terms these are post processing. why we do that? to make our self presentable or feel confident. I am software engineer, like every developer I also do a lot of refactoring. We apply patterns or practice OO. Why we do that? compiler can understand and compile any code even if it’s not refactored or not having any patterns. Still we do it, we are doing it because to give an aesthetic to our code, to make our code readable to others. Then why post processing of a photo is not right or considered silly in peoples view. In my opinion they are doing it because we didn’t want to accept that guy have a talent, we are saying he is not talented but his tools got talent. Then why can’t you go and take a photo using your camera and you also have access to the same tools that guy has. Still if you can’t come up with the kind of photos he produce, then accept it he got talent. To some extend yes, the camera matters, rest is the talent of the person behind the view finder. Some time people say your photo is good, because you have a great camera. It’s like telling that my friend Senthil is an awesome developer because he has the world class IDE from Microsoft. The fact is, he can code even using a notepad. A great tool is a must for any professional. A blunt axe in a wood cutter’s hand, will it help him? obviously not. Like any other profession, photographer also need better camera. But a great camera will never make you a great photographer. "A photographer went to a socialite party in New York. As he entered the front door, the host said ‘I love your pictures – they’re wonderful; you must have a fantastic camera.’ He said nothing until dinner was finished, then: ‘That was a wonderful dinner; you must have a terrific stove." Do I care if people comment like this? not at all. I take photos because I am passionate about it. I am not doing it to get likes, I am doing it for my own satisfaction. If I get likes or comments, it’s a motivation. Photoshop is a tool for post processing, so please don’t call all edited Photos as Photoshopped. I like to hear your thoughts, please leave your comments in the comment section.